‘Duty of care’ is an expression most would be familiar with; most however, would not be aware of how a woman drinking ginger beer in a Scottish café in 1928 would impact the meaning and reach of that term, writes Michael Sinclair. The radical call of the parable of the Good Samaritan was one of the key messages I took away from a recent event organised by the Good Sams Foundation. An interested audience of mostly legal people, including six Queensland Supreme Court Judges, participated in a fundraising luncheon organised by the Foundation to celebrate the eightieth anniversary of the House of Lords decision in the case of Donoghue v Stevenson which established the modern law of negligence. The luncheon address was given by the Honourable Justice Margaret White, a senior judge of the Queensland Court of Appeal. Her Honour focused on several themes: the House of Lords judgement, Queensland Law Week, National Volunteers Week and the Good Samaritan Sisters. On the evening of Sunday August 26, 1928 May Donoghue boarded a tram in Glasgow for the 30-minute journey to Paisley. At around ten minutes to nine, she and a friend took their seats in the Bethany Café in the town’s Wellmeadow Place. They were approached by the café owner, Francis Minchella, and Donoghue’s companion ordered and paid for a pear and ice and an ice-cream drink. The owner brought the order and poured part of an opaque bottle of ginger beer into a tumbler containing ice cream. Donoghue drank some of the contents and her friend lifted the bottle to pour the remainder of the ginger beer into the tumbler. It was claimed that the remains of a snail in a state of decomposition dropped out of the bottle into the tumbler. Donoghue later complained of stomach pain and her doctor diagnosed her as having gastroenteritis and being in a state of severe shock. As the law existed in 1928, May Donoghue did not have any legal basis for bringing an action against the manufacturer of the ginger beer. However, the decision of the House of Lords extended the reach of the ‘duty of care’ and allowed May Donoghue to continue her action against the manufacturer. The decision in the case of Donoghue v Stevenson is of interest to supporters of the Sisters of the Good Samaritan for good reason. The decision relies significantly on Gospel themes to develop legal principles about one’s ‘duty of care’. The leading judgement was written by Lord Justice James Atkin, born in Brisbane in November 1867, but, who at a young age, returned with his mother to Wales. And in terms of what ‘duty of care’ I have to my neighbour, he said: “You must take reasonable care to avoid acts or omissions which you can reasonably foresee would be likely to injure your neighbour”. However, compare the principles of law with those of the parable. Firstly, the parable casts a much wider net as to “who is my neighbour”. It is not restricted to those with whom I have some sort of relationship. Rather, the parable pushes the concept of neighbour to those in distress whether I know them or not. The parable clearly makes the point: my neighbour is someone so wholly unconnected with me that it seems inconceivable that I would have anything to do with them. Secondly, the parable poses a radial challenge to assist those in need of help. The parable quite clearly states that, as neighbour, one cannot walk pass those in need of assistance. There is a radical duty to get involved. The parable sets out a ‘duty’ which is significantly greater than the requirements of the law. The law says, ‘Don’t hurt your neighbour’; the parable says, ‘Help your neighbour’. The law says, ‘My neighbour is someone who may be affected by my actions’; the parable says, ‘My neighbour is anyone in distress, no matter how unconnected they may be from me’. “The common law duty to a ‘neighbour’ has, however, scant in common with its New Testament equivalent: both priest and Levite ensured performance of any common law duty of care to the stricken traveller when, by crossing to the other side of the road, they avoided any risk of throwing up dust in his wounds”. What is clear from the parable is that a follower of Jesus will need to live to a much higher duty of care than that required by the law. A follower has a positive duty to show compassion and help those in distress. Postscript: The Good Sams Foundation is very appreciative of the support of Justice Margaret White at the lunch. It was obvious that considerable preparation had been undertaken for her address. Also to note was the generous sponsorship of Mullins Lawyers and the exceptional support of one of the senior partners, Pat Mullins. Pat has just completed nine years as a Director of the Good Sams Foundation, the last five as Chair. We thank him. 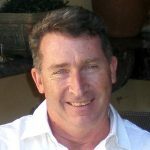 Michael Sinclair has worked in the electricity supply industry since 1988 in a variety of roles including employment relations, policy development and executive management. He is currently the Water Resources Manager for Stanwell Corporation Limited. Michael holds Masters Degrees in Law and Theology and a Graduate Diploma in Employment Relations. He has also held a range of Directorships mostly in the non-profit sector. Since 2010, Michael has been a Director of the Good Sams Foundation.